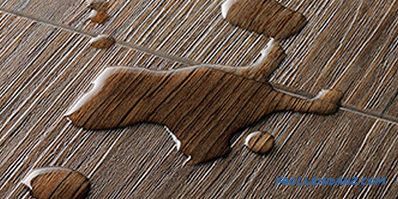 Not so long ago, a new type of flooring appeared on the building materials market - a kind of “hybrid” of laminate and linoleum. This material immediately aroused interest among potential buyers. 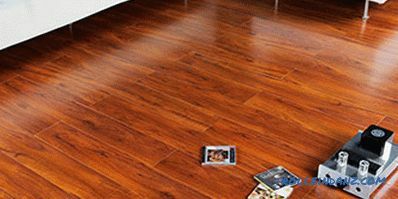 Naturally, many questions arose, and the most important of them is whether the vinyl laminate has drawbacks? After all, the quality of already familiar products has been tested by time, but how the novelty behaves is not yet known. So let's take a closer look at this "Mr. X". As is well known, everything new is well forgotten old. Here and vinyl floor coverings, which are just beginning to gain popularity in the field of interior design, oddly enough, have been around for quite some time. Their "ancestor" is the well-known PVC tile, which appeared back in the 30s of the twentieth century. Of course, it cannot be compared with current analogues, but there is still a “kinship” between the old and the new models. And what are the properties of modern vinyl floors, what is it and how do they differ from their prototype? Thanks to advanced technologies, these products have the broadest structural and color gamut, a high level of wear resistance and unique design features. 9. 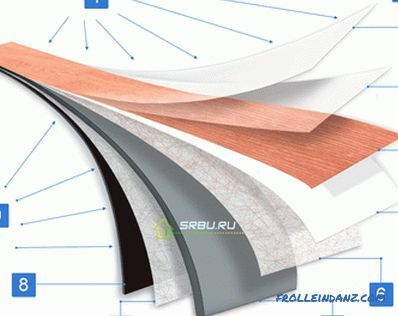 Adhesive layer (present in certain types of coating). 1. Imitation of laminate (rectangular stripes with dimensions typical for laminate boards - 100 * 920 mm and 180 * 920 mm). 2. Square tiles with or without a locking joint (frame sizes from 300 to 600 mm). The standard thickness of vinyl products is 1.5-3.5 mm, however, some manufacturers have a thicker floor covering. 1. Household products (23, 31 class). 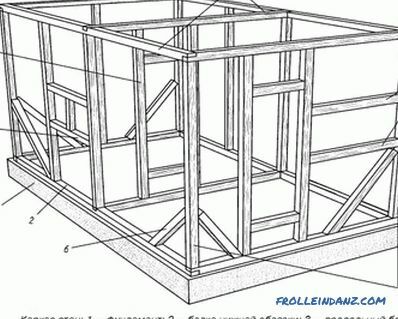 Intended for flooring in private houses and apartments. 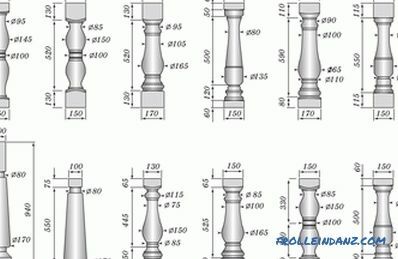 Coatings have a minimum thickness, but differ in a large variety of species. 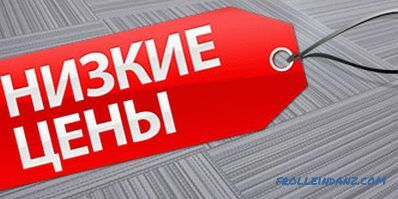 Warranty period of operation - 5-6 years. 2. 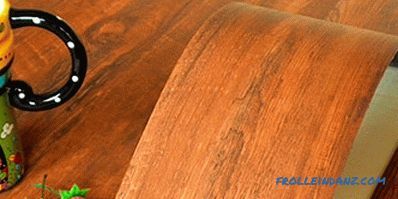 Commercial vinyl laminate (32-42 class). 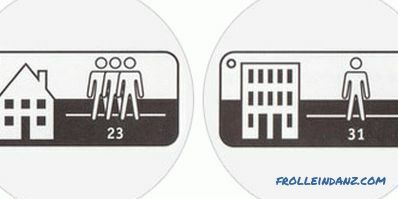 Applications - high-traffic areas, office buildings, etc. Due to the thick abrasion-resistant protective layer, such materials have a long service life - up to 15 years. Another advantage of this category of products are antistatic properties. 3. 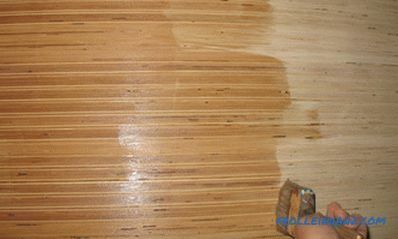 Special flooring (43 class). Characterized by maximum strength. 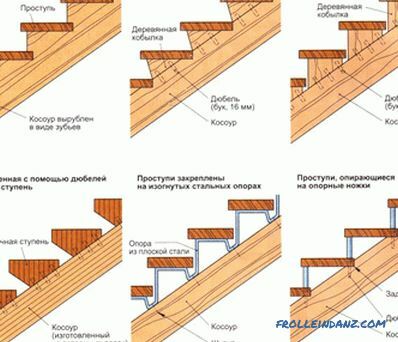 They are recommended for arranging floors exposed to increased mechanical loads. 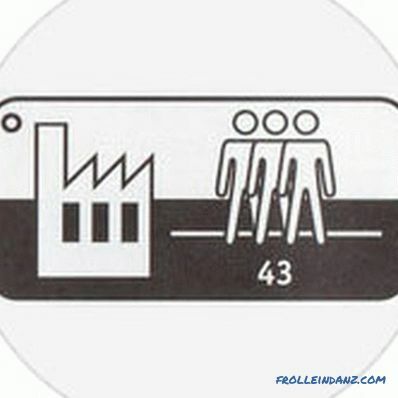 Can be used in production workshops, garages, gyms, etc. The cost of any coating directly depends on the class of its durability. 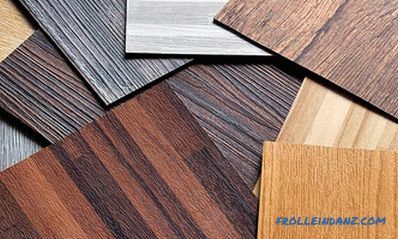 Tip: when choosing PVC laminate for finishing home floors, you should not think about buying a more expensive commercial option, since household samples have a good resource of abrasion, so it is simply not advisable to overpay. 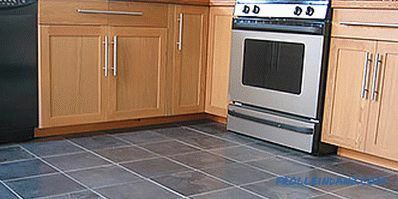 Unfortunately, vinyl floor coverings have not only a lot of positive characteristics, but also some disadvantages. What qualities are more, consider below. + Variety of design solutions. A wide color and texture range allows you to choose the type of coating for any interior. 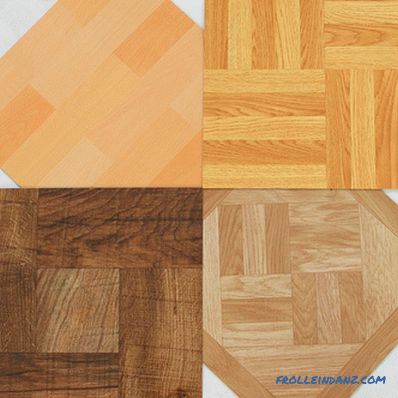 In addition, vinyl materials can be combined, so that the design of the floor will be unique and inimitable. 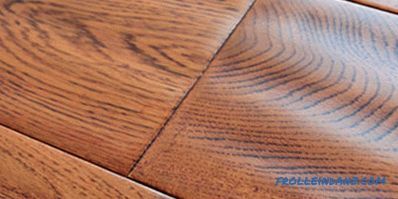 All types of vinyl flooring are resistant to mechanical damage and UV rays, so they can last 10-20 years. The decisive criteria for a long service life are correct installation and continued maintenance. Vinyl products of printed type have a transparent wear-resistant coating that reliably protects the floor from the effects of dirt and all sorts of stains. This material is quite simple to maintain and for a long time retains its original appearance. In the single-born and composite products, the surface is more prone to contamination, and therefore, may require polishing or partial replacement of the plates. 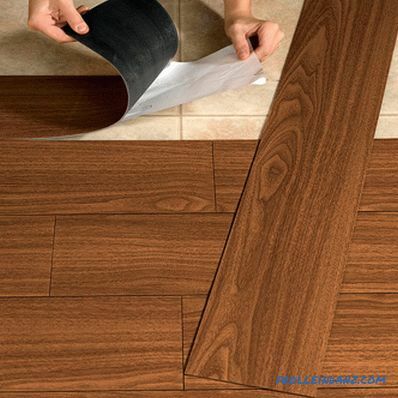 Vinyl laminate and tile are laid out quite easily and quickly, without any special skills being required. The main requirements for ensuring the quality of installation are a flat, clean and dry floor surface. The vinyl coating forms an airtight layer on the floor, almost not permeable to water, so it is ideal for kitchens, bathrooms and sanitary facilities. 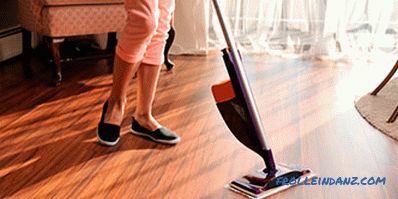 The cleaning of a vinyl floor consists of two stages: dry cleaning with a broom or vacuum cleaner, and washing the floor with non-abrasive cleaning products. 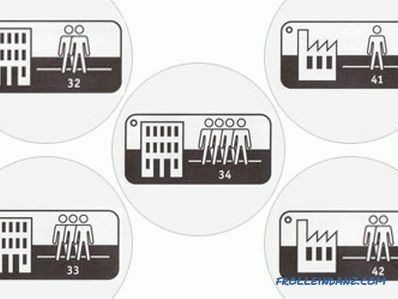 The price depends on the appearance and the class of wear resistance of the material. 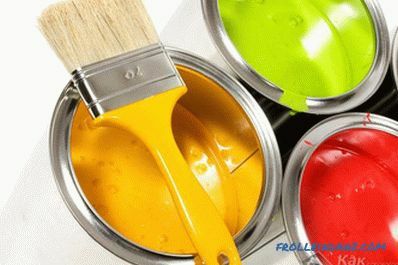 Domestic coatings on average cost 13-20 euros per square meter, higher quality and durable products - 25-35 euros / m². Vinyl coatings have an elastic and soft surface, so it's nice to walk on them even barefoot. In addition, they have low thermal conductivity, so in winter this floor will not be cold. 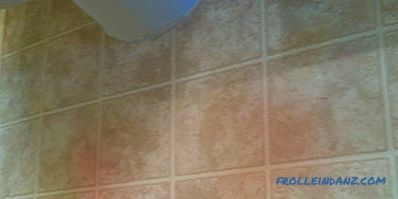 Despite the presence of a considerable amount of positive qualities, unfortunately, vinyl tiles also have disadvantages. - Toxicity and fire hazard. 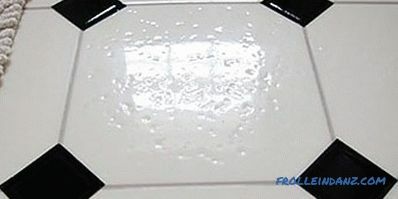 Vinyl products contain various chemical constituents, and some of them may, for the first time after coating, release toxic gases that cause various diseases, eye and respiratory irritation. The level of material safety is determined by its chemical composition and service life. In principle, vinyl floors are well resistant to a variety of stains, but some chemical elements can react with this material, forming indelible traces. For example, interaction with rubber (shoe soles, rugs, etc.) can lead to such an unpleasant effect, so it is better to avoid such contacts. 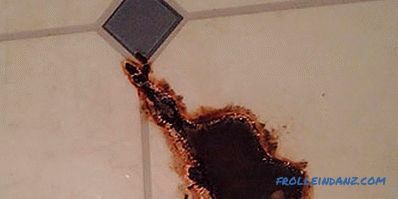 - Inability to repair damaged areas. High-quality and more expensive materials are characterized by high strength and long service life, while budget options rather poorly withstand damage. 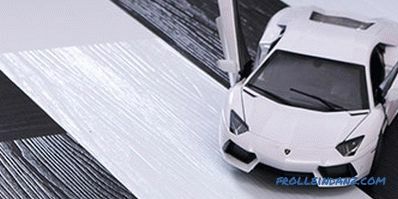 Unfortunately, the restoration of vinyl coatings is impossible, therefore, in the formation of defects on sheet material, it must be completely replaced. 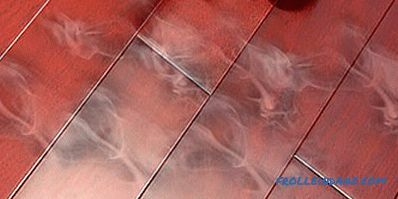 Partial replacement can be made in the case of PVC tiled coatings. Products with a self-adhesive layer . Installation is performed on perfectly flat and clean surfaces. Adjustment to the desired size is carried out before removing the protective film. Before gluing, the film is removed and the tiles are carefully laid on the floor, avoiding the formation of air gaps. Vinyl coating without self-adhesive layer. Provides for the use of special glue. Apply a thin layer of glue to the floor surface and leave to dry for 15 minutes. Plates are fixed with a tamping roller. Coatings with locking connection. Mounted in the same way as laminate board. Before laying vinyl on concrete substrates, they must be pre-primed.